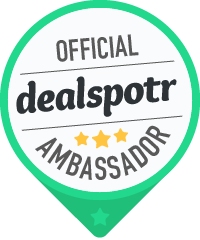 If you are someone who loves to find great and amazing deals that can save you and your family a lot of cash, then it would be awesome to check out Dealspotr , the newest site that features great deals and discount coupons that were posted by couponers , bloggers and those as crazy as me about deals. The site is definitely easy to use, Here is some picture instruction on how to use or grab the deal/coupon. Now, you can also earn amazon gift card if you join the site and post some deals. You can easily earn +200 karma when you sign up by using my code Karma Points . 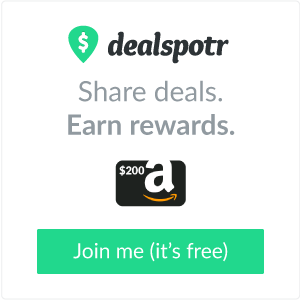 Dealspotr makes finding coupons easy, while making sharing coupons more rewarding. When you share deals, you get to earn karma or points which will be turn into Amazon gift cards when you reach certain points. Adding a new deal is easy peasy. Now, your good to go. Earn rewards by adding new deals, engage in the community. Now, don’t forget to join now. Our menstrual cycle affects our behavior and changes our mood sometimes in a drastic way. For each women, it’s a different dilemma and different behaviors and changes too. Some may see it naturally but others feel so much pressure and pain that it affect their entire perspective and mood. Some are even worst than you can imagine giving them anxiety and depression. It takes a longtime process to cope up with your monthly period especially if you are experiencing the worst side of it. Have you heard a box helping women to cope up with their period? Yes, a subscription box that pamper your period. Tom Box subscription formerly swaag box which caters on what a girls needs and wants during the sensitive days of the month. Each period cycle Tom Box will send you necessary supplies as well as jewelry and makeup. You can choose from name brand tampons and pads, tell them your skin type and fashion type and they will customize your jewelry and makeup to your wants. As low as $10 a month, you get the chance to receive ten hand picked products that can help you cope up with your monthly period. Yes, that’s really a lot which means a great way to save and enjoy your period. The items differs every time, so you might not end up receiving the same package as mine. I love the self tanning and HD concealer on this month’s box but of course the other goods are really nice too. I’m definitely sharing this to my gal friends who is experiencing bad period every month so they can feel loved and important too. Make you subscription today and visit them at Facebook to learn more updates on the next box. Get Started today and fill out that Tombox quiz. Disclaimer: I received a complimentary box in exchange of my honest review. All opinions are mine. I love subscription boxes, the feeling of receiving something in the mail that is unknown to you and yet to discover. It is just like opening a present or a gift from a dear one. Beside bags and shoes, i love collecting beautiful pieces of accessories that goes well with what you are wearing and for specific occasion. Bijoux Subscription Box is a monthly jewelry subscription for women who love sparkling pretty pieces of accessories. Each boxes contains three (3) pieces of handpicked jewelry pieces by Bijoux Box stylist . This subscription is not a customized one since I think everybody gets the same pieces but if you don’t like earrings, you can e-mail them so they can take note of it. But for someone like me who love earrings, this new addition is indeed something worth keeping. Over all this May Bijoux Box is definitely a catch. I love the accents of the first necklace, I can wear it during day time or evening event and this three layered Pave’ Convertible Necklace can definitely add sparkle in your day. You can wear them individually or wear them altogether to create a full impact. If it’s your first time to subscribe, you can use the code WELCOME so you can get an additional bonus item which I think for me is this beautiful watercolour scarf. A perfect piece to accentuate a simple piece to make it sparkling beautiful. Who doesn’t love to shop? But with the way of living comes other responsibilities too. So, it’s always best to choose products and brands that within your budget . Affordable but definitely good quality and fashionable that’s what I always have in mind when I buy something new for me and my family. Online shopping has become a trend this days. For some reason, shopping online is more convenient for working moms and busy teens (also) who has limited or no time to go to the mall to waste hours of roaming around finding what you should buy and ending nothing on your cart. You know that make up especially lipstick is one of my obsession, it’s my kryptonite and just thinking about it makes me smile. So glad that I found a new site that offers one of my favorite brand of cosmetics. 10DollarMall, the name itself says it all. Yes, everything in this site is $10 dollars and even sometimes less than. What’s so nice about this site is they offer different products not just for women but for men and little kids too. Their clearance items does not mean less quality, the products i received was indeed superior. I love this white fitness jacket, it would be perfect while I’m running on a hot summer day. Refresh your wardrobe with the latest trends without sacrificing your budget. 10DollarMall has a variety of stylish and affordable women fashion collection from shoes, bags, accessories and even make ups. You can also grab something for your kids, a nice pieces of tops and bottoms or find a gift for your husband with their affordable collection of male watches and accessories. Quality and affordability that’s something 10DollarMall is known for. Affordable shopping is definitely every mom would love to do. You can also choose the method of shipping but if you opt to choose free shipping, the waiting is definitely worth it. Here’s the best part, 10DollarMall is giving away $50 worth of online gift card to one of my readers. Yes, you get the chance to choose your favorites and it’s very easy to do. Just enter the giveaway below. Disclaimer: This post contains affiliate link for your convenience. I may earn a little amount to help maintain my site when you purchase via the links. On the other hand, Let me introduce to you, Mostafa Keyhani, an extraordinary painter. Drawing from the Impressionist tradition, his work is alive with color and texture as he uses thin washes, areas of bare canvas, and thick impasto to impart an expression of organic life. While his paintings fetch high prices in galleries across the United States and Canada, his self-published books give each of his fans a chance to own his art. Keyhani is a Canadian resident born in Iran, and has had a journey as fantastic as his art. 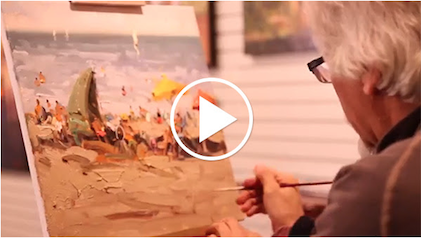 In this video, Blurb captures a glimpse at Keyhani’s remarkable creative process. Perhaps it will inspire you to make your own book with Blurb. Such an interesting story, I’m no painter and my hands are not born with a golden touch, drawing might not be a thing to me but I surely know how to create a nice book and collage. BlackFive, one of the authorities on global women’s fashion clothing, is an online destination for it girls around the world. Today we are here launching a giveaway event. Welcome to : www.blackfive.com to join them! Please see the following details. Everyone who signs up during 19th –23rd May will get 5$ coupon. As to the amazing gift cards, the winners will be chosen from the registered accounts and published on 26th May. Disclosure: This site is not responsible for the prize fulfillment. Winners will be randomly selected by the brand/Black Five. Open Worldwide. After our recent giveaway, here’s another chance for you to grab a pretty Romwe Shirt, “Coco made it” . It’s very simple, here’s what you need to do to qualify. Let me know that you have done the task by leaving a comment on this post with your facebook account. Please make sure that you are sharing publicly so others can check your post. I will be checking, so please do the very simple task. 1 lucky winner will win this tee after 5 days. Another good thing, This  tee will be only $9.99 on 13th March GMT. Here's a coupon you can use to get a discount. 10%offcoco. It can save you another 10% for the cool tee on 13th March only. Disclaimer:  This blog is not responsible for prize shipping. This contest is a sponsored contest. Open worldwide,  18 and up. The cold days makes me sick and more colder inside or perhaps it’s my emotion that is making me erratic since it’s my birth month and I haven’t able to finish all my pending blogging tasks which I should have done the first days of this month. Days are not always sweet and happy but then when you learn to accept things , as in literally think that your still lucky then your heart can be at ease. They say that those who love day dreaming are people who doesn’t see the reality of life and those of who live in a fantasy world but I am a type who knows how to separate my fantasy and reality. It is because i want to be happy even if i’m lonely and therefore create my own happiness inside me. So good, i have sometimes to take off on my erratic behavior and smile and appreciate the beauty of music and life and of course online brands that shares fashionable apparels that can make your life more joyful and prettier of course. My latest find at Persunmall is definitely worth it. Not only they are pretty and their price is competitive. 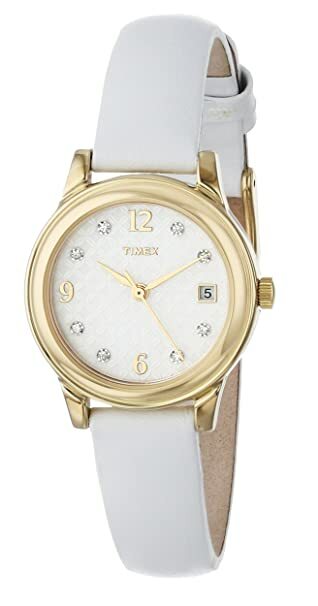 Their services is efficient and their latest trends and collections are always up to date which fashionable ladies would definitely love to have. Did you see my shoes above, i love how it matches my new blue bag, it’s really trendy and the buttons of my bag attracts many people to take another look at them and even would touch it to appreciate it. They say that when your in a great deal of stress, shopping can somehow ease your mind but make sure when you does that, you have extra money to spend otherwise you will be adding headache over headaches. By now, you might have already found something to give to your kids or godchildren. Whether it’s a small thing to the most extravagant one, this is the time of giving gifts and showering happiness to our love ones. The history of giving gifts during Christmas season dates back on the early century and to refresh your memory even the three kings traveled a long road to find the Messiah to offer him gifts which symbolizes their alliances, respect and joy as well. On the other hand, it’s not that easy to find the one perfect gift to kids since there are lots of different toys , educational materials, apparels and latest gadgets to give them. But for you to ease your worries and stresses, stick to what they wanted and although it’s not always necessary to give in to their demands, it will help you to easily find what your looking for in the vast of kids things. Online shopping is also one of the major trends today since you can save time on going to different malls and waiting on a long line to pay for the things you bought especially with the terrible Christmas rush everybody had been doing. It’s more convenient and easy but the only cons are you can’t see the actual products and problems may arise during the delivery or defective products could cause you headaches but with Everbuying this are less likely to happen and what’s great with them is that their packing was well done that even delicate products like our RC car above comes in a good condition. So, the next time you are looking for a perfect gift on whatever occasion, you can check out their shop. Follow their official facebook page to learn even more. Look how happy this little girl with her new toy. Disclosure: I received a free product for review purposes. The opinions I have shared are honest, and my own. 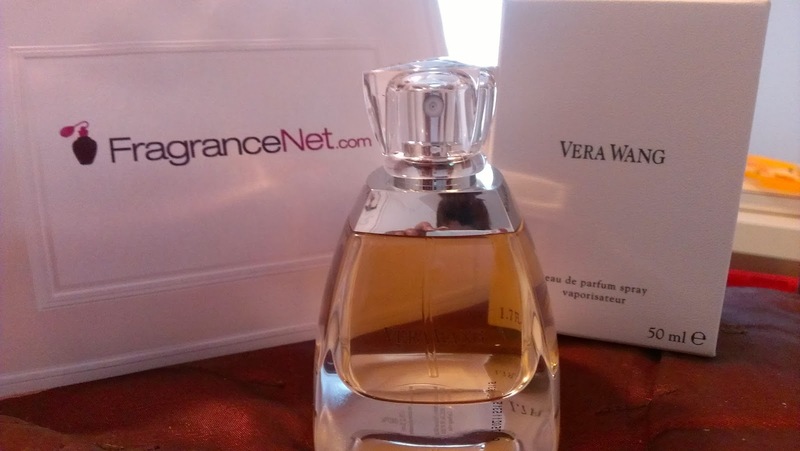 Just a few days ago I received a 1.7 FL oz bottle of Vera Wang’s eau de parfum spray fromFragranceNet.com to review, and I was very excited to to receive it. I had sprayed a sample of it on me while sing in Macy’s Department Store, but that was over a year ago, and I had forgotten how it smelled. Vera Wang’s eau de Parfum has a very light, but long lasting fragrance. It’s very noticeable, yet it’s not over powering. I have warn perfumes in the past that were so strong, you could smell me coming from a half a block away. I had this happen to me a few years ago when on my way to do some shopping. When I arrived near the front of the store a guy said to me, “Ma’am I smelled your perfume way before you got here!” Lol That gengentleman didn’t seem to mind the loudness of my purfume very much, but what he said stuck with me. I have also had the very opposite to happen, when I’ve spent a nice piece of change on a major brand name item, and not get one compliment. Needless to say when that happens I never purchase that particular product again. This was not the case with Vera Wang’s eau de parfum however. It has a lovely delicate scent that still manages to make its presence known, but in a very suttle way. I highly recommend FragranceNet.com for the excellent deals they offer on their website. They sell brand name products, but for a nominal price. They also offer special money saving coupons which are made available to you directly on their website. 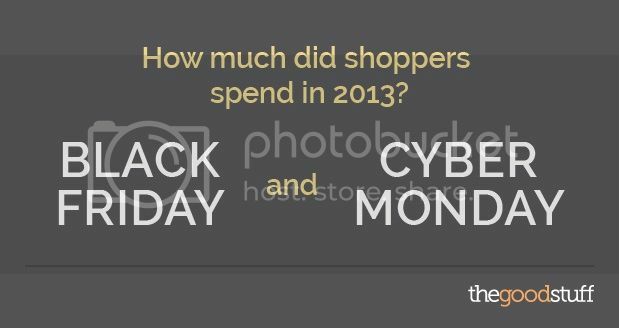 This makes it more convenient for you to complete your Holiday shopping. It also allows you to score some fantastic deals in the process. Please do consider them when online for your Holiday gift shopping needs. I also recommend Vera Wang’s eau de parfum to any one in the market for a new fragrance. It will make a great gift for yourself, your friends, and family members as well. If you are interested in purchasing a bottle of Vera Wang’s eau de parfum then you can find it HERE! Connect via Social Media: Facebook, Twitter, and Pinterest! A special thank you goes out to FragranceNet.com for being gracious enough to sponsor this Giveaway! They have agreed to give one (1) winner a $50 eGift Card to shop on their website at the end of this promotion. 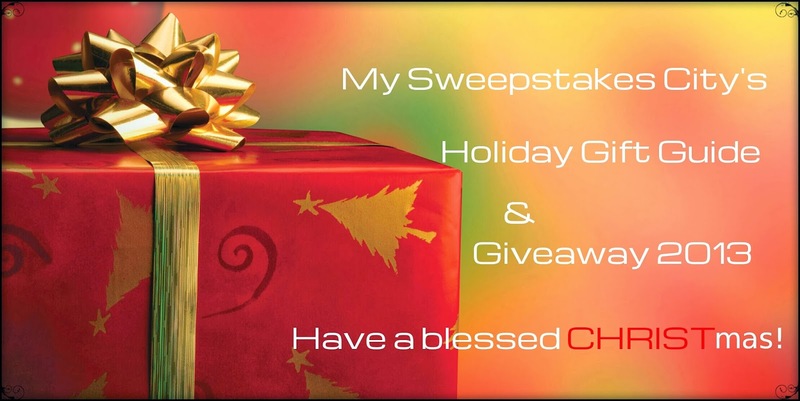 This giveaway will begin on Wednesday, November 27th, 2013, at 11:00 pm and will end Friday, December 11th, 2013, at 11:00 pm. Please enter this giveaway by using the giveawaytools form below. Disclaimer: Neither My Sweepstakes City, or any of the participating blog are responsible for the prize. The sponsor is responsible for prize fulfillment. 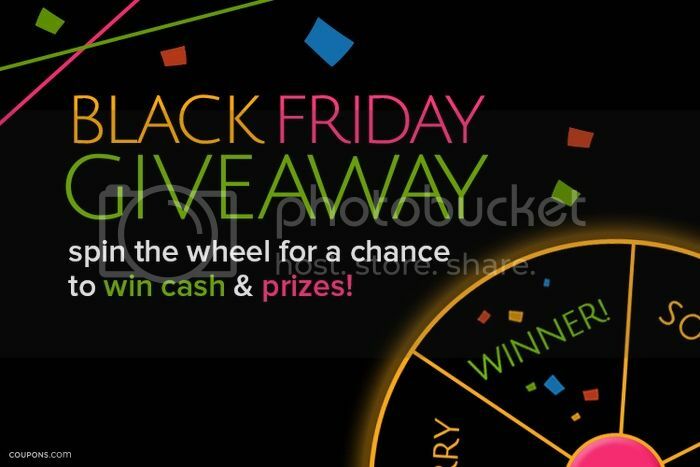 This giveaway is in no way connected to Facebook, Twitter or Pinterest. Merry CHRISTmas, and thank you for participating in this giveaway! Diva Fabulosa and Friends are happy to bring you another Beauty Giveaway! We are giving away everybody’s favorite – Nyx Nail Polish! One lucky winner from the US will win this Love is in the Air Nail Polish Set! If you are from outside the USA, you can still join but you will get a cash equivalent of $25 if you win. Giveaway will run from October 11, 2013 and will end October 25, 2013, 11:59 PM EST. Only one task is mandatory and the rest are optional but hey the more entries you do, the more chances of winning. Good luck! Disclaimer: The participating bloggers were not compensated for this post. We are not associated with any of the companies named above. No purchase is necessary to enter. Void where prohibited by law. The odds of winning are based on the number of entries received Open WORLDWIDE only. Confirmed Winner(s) (by Random.org) will be contacted by email. Winner(s) have 24 hours to respond before a new winner is chosen. No purchase necessary. Void where prohibited by law. Diva Fabulosa will be responsible for product shipment to winner(s) of this giveaway. My blog is not responsible for product shipment/delivery. This event is in no way administered, sponsored, or endorsed by, or associated with, Facebook and/or Twitter, Google, Pinterest. This disclosure is done in accordance with the Federal Trade Commission 10 CFR, Part 255 Guides Concerning the Use of Endorsements and Testimonials in Advertising. Welcome to our Monthly Beauty Giveaway! I know many of you are beauty junkies so here we are again with another awesome beauty giveaway. OPEN Worldwide. Winners outside the the US will get $25 paypal cash. Giveaway will run from September 2, 2013 and will end October 2, 2013, 11:59 PM EST. Only one first task is mandatory and the rest are optional but hey the more entries you do, the more chances of winning.